Suburban London housewife Tara (Gemma Arterton) isn’t doing well. 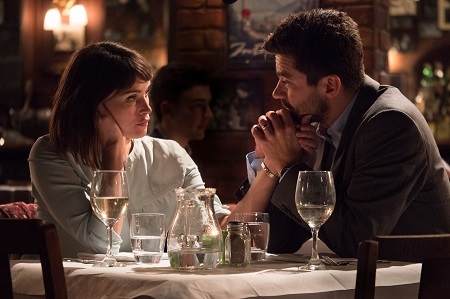 Her hardworking husband Mark (Dominic Cooper) loves her and yet he’s still caught up with his own wants and needs, so consumed with the thought he must provide a posh life for his wife and two children above anything else he fails to see that the woman lying next to him is desperately unhappy. Things are slowly falling apart, and even after she expresses her concerns and fears out loud to Mark it doesn’t appear Tara is going to be able to stop her emotional deterioration anytime soon. 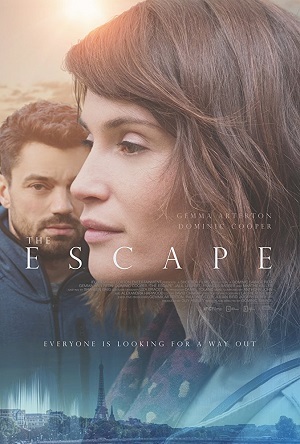 The British drama The Escape is not for the fate of heart. It’s a precise, step-by-step chronicling of one woman’s depression, the film showcasing how the weight of being all but forgotten in one’s own life, no matter how fulfilling or stereotypically perfect it might appear to others, can shatter all chances of happiness into itty-bitty pieces. Writer/director Dominic Savage refuses to shower his characters with pity, making zero apologies for their actions no matter how heinous they might be. Yet his affection and respect for them is equally palpable, Tara a fiercely complex figure whose innate goodness is slowly being devastated by this growing cloud of despair. Not that this mother’s decisions or choices are easy to comprehend or forgive. The moments when she lashes out, especially at her children, are brutally difficult to endure. The scenes where she expresses what is happening to her to Mark but is unable to contextualize them, cannot find a way to get him to at least partially understand the role he’s inadvertently played in manufacturing her ennui, not all of these ring as authentically as they were undoubtedly meant to. While the pain is real, some of the dialogue discussing it can be a little too on-point, some sequences having an aura of stilted theatricality I was less than thrilled with. But Arterton’s magnificence is undeniable. 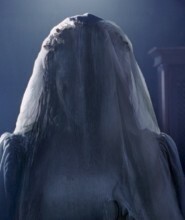 The veteran actress is almost as wonderful here as she was in last year’s sublime Their Finest, her willingness to break Tara down into her basest emotional parts gut-wrenching in their horrifying intensity. The scene where she finally loses it completely with her children had me clutching my throat in heart-stricken distress, while the one directly following it up is equally stunning as this young mother realizes what it is she has said and done and tries to find some way, any way, to repair things with her two little ones. 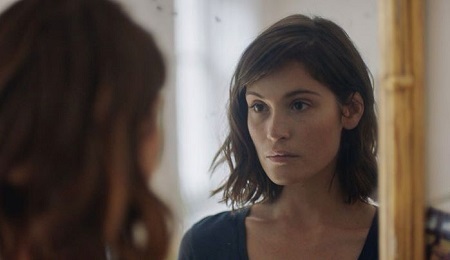 There’s always something going on behind Arterton’s eyes in this movie, her depressive physicality truly extraordinary. Around two-thirds of the way through the picture the action moves to Paris for reasons I don’t choose to go into in any detail here in this review. What I will say is that these scenes, these moments, they say as much about the human condition in total as they do about any one character. All that happens, all that transpires, the beauty, the heartbreak, the catharsis, the pain; all of that and more, each of these emotions feed into one another with an assured observational gracefulness that’s divine. If total understanding isn’t achieved it isn’t because Savage’s script isn’t doing its job. Instead, this ephemeral refinement is entirely by design, the haunting eloquence of what eventually transpires and potentially brings husband and wife back together to begin anew a generous outpouring of appreciative understanding that brought quiet tears to my eyes with startling ease. In the end all Tara wants is to be listened to. Her life might not be turning out as she once dreamt it would but that doesn’t mean she should be shackled to continue trudging along in footprints she long ago outgrew. All this young woman desires is for someone to hear what she has to say, to sit there and help her work through these pangs of regret in ways that will allow her to find the strength to carry on and be the type of mother her children can look up to. The Escape isn’t so much about leaving one’s life behind in order to build a new one as it is a mournful call to action to learn how to embrace the beauty of what’s happening around one in each idiosyncratic second of the day. Far from easy to watch, this drama is an incisive glance into the mirror that is heartbreaking in its visceral exactitude, Tara’s realizations as sadly common as they are unquestionably universal.